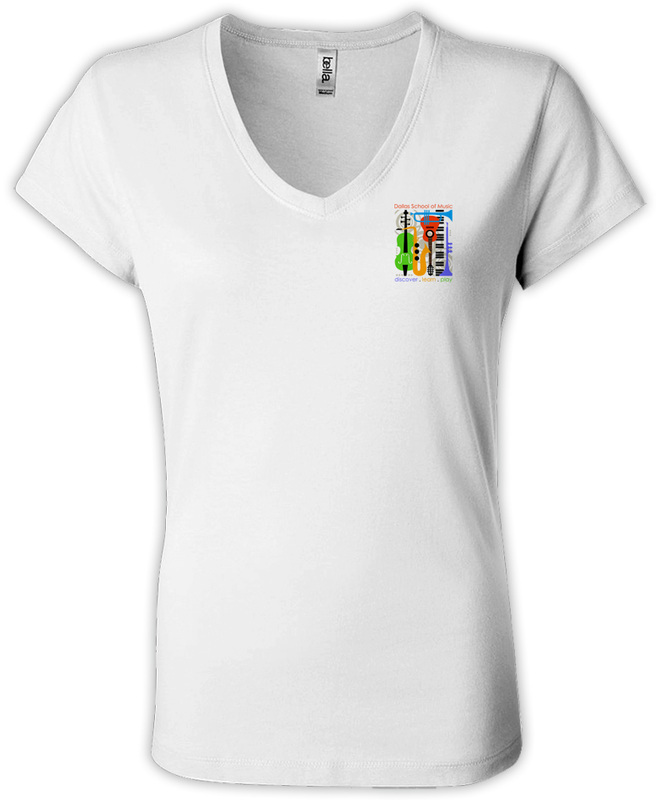 Show your DSM Spirit with some of the wonderful items in our store. If you have any questions or you can't find what you're looking for please let us know. 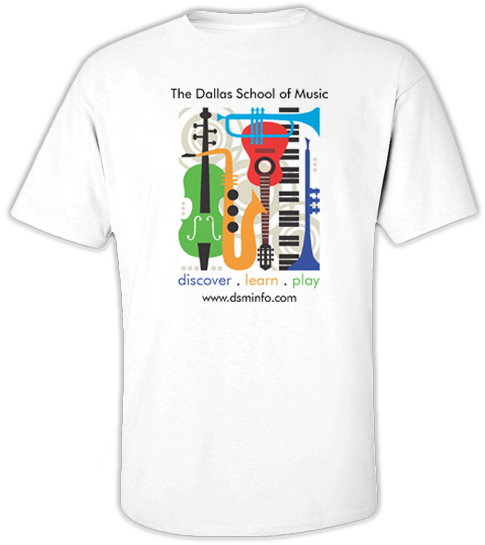 Thank you for your support of The Dallas School of Music! 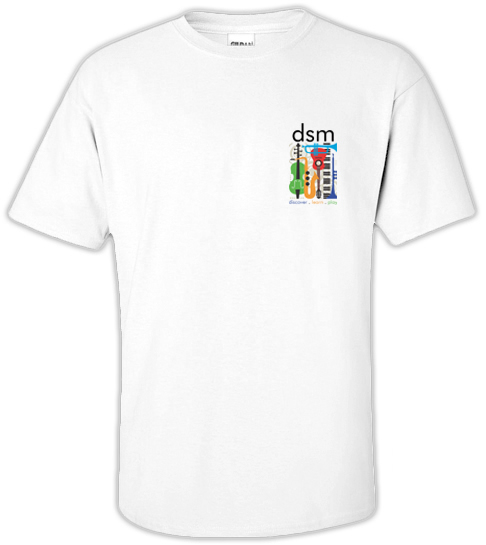 Place your order today for your very own classic DSM T-Shirt. If we have it in stock you can pick them up at your next lesson. If we need to special order your DSM T-Shirt we will call you as soon as they arrive at the school. 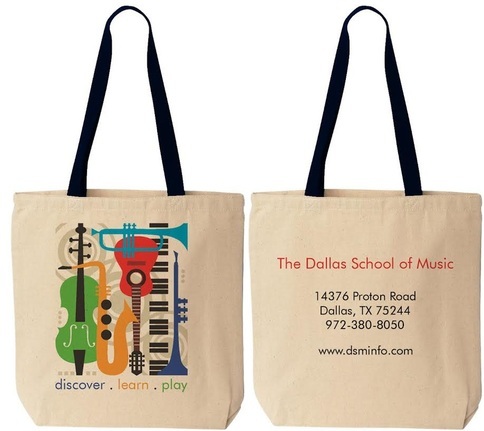 These sporty and spacious totes are the perfect way to keep all of your music and supplies in one convenient location. ​Come to your lessons in style and show your DSM Spirit! Simply beautiful! 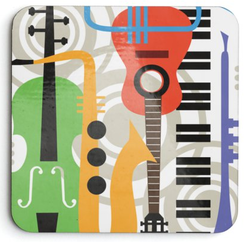 These drink coasters will be the topic of conversation with all of your guests. 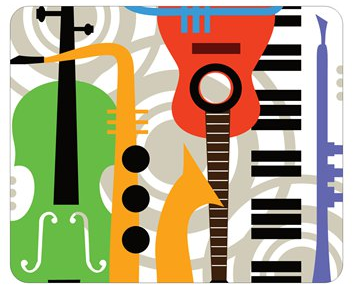 They're the perfect segue to discussing your study of music and lessons at DSM! Classy, artsy, and downright hip! These DSM Mouse Pads are made with top quality material and are built to last. This pad will look stunning in your office/home next to your computer. Your coffee or tea will never taste better when drinking out these contemporary and artsy DSM Mugs. Get a set today and share a drink and some time with a friend!